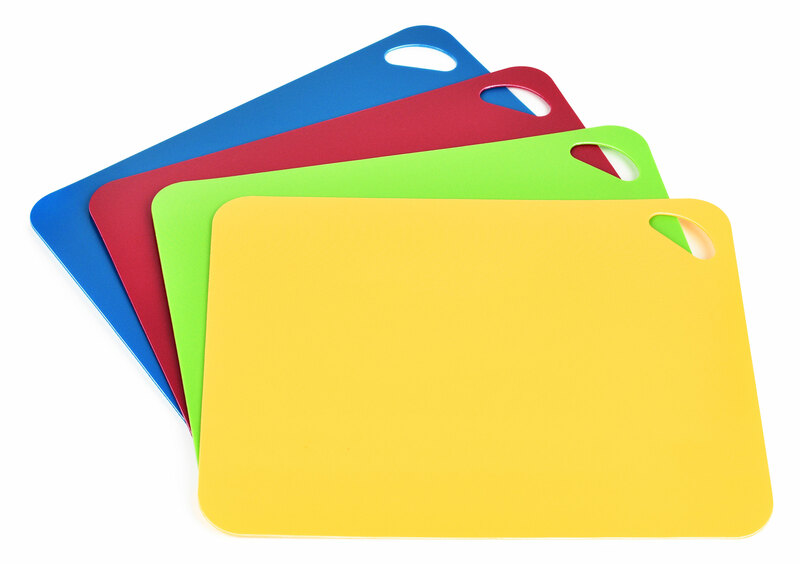 The 4-piece Heavy Duty Flexible Cutting Board Set is a kitchen essential. These color-coded flexible plastic cutting boards help protect against cross contamination and features four colors on each board that reflects which board should be used with which food. 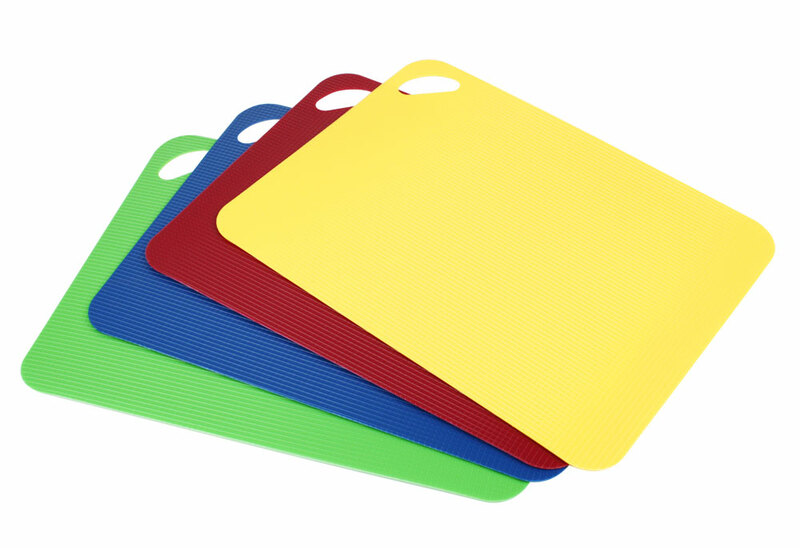 The red board is designed for meat, yellow is for poultry, green is for vegetables, and blue is for fish. Each board features a handle for secure grip, the boards can also bend to place prepped ingredients into waiting pots and pans.